Jesus restores fragile, imperfect followers in order that we may bear witness to His amazing, redeeming grace. In part 26 of The Gospel of John: Life in His Name, Pastor Dan Cox reads from John 21:1-25. These things have been written so that you may believe that Jesus is the Christ, the Son of God, and that by believing you may have life in His name. In part 25 of The Gospel of John: Life in His Name, Pastor Dan Cox reads from John 20:1-31. Redemption is utterly and eternally complete in Christ alone. In part 24 of The Gospel of John: Life in His Name, Pastor Dan Cox reads from John 19:1-42. As His disciples fled, Jesus faced a hostile, temporal kingdom of this world in order to advance a glorious, eternal kingdom not of this world. In part 23 of The Gospel of John: Life in His Name, Pastor Dan Cox reads from John 18:1-40. Believers in Christ—eternally secure in sovereign grace—are to live together in love and unity so that the world may know that the Father has sent the Son. 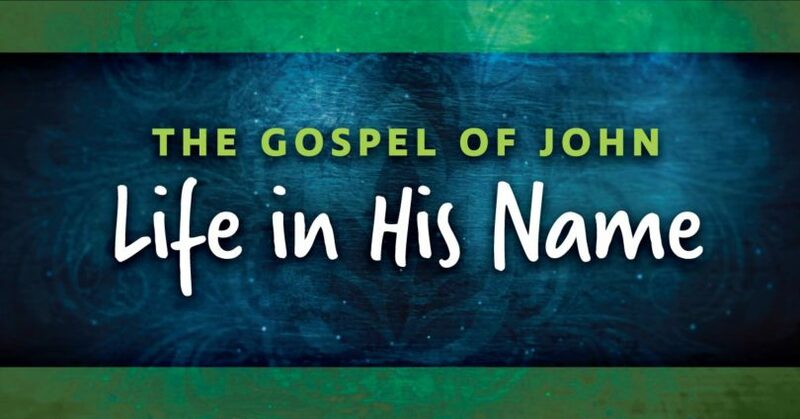 In part 22 of The Gospel of John: Life in His Name, Pastor Dan Cox reads from John 17:1-26. Even as faithful servants of Christ are hated and persecuted by the world, our joy will be full because Jesus has overcome the world. In part 21 of The Gospel of John: Life in His Name, Pastor Dan Cox reads from John 15:18 – 16:33. The fruitful Christian remains vitally connected to the life in Christ, for apart from Him, we can do nothing. In part 20 of The Gospel of John: Life in His Name, Pastor Dan Cox reads from John 15:1-17. Followers of Jesus are called to humbly serve one another, graciously forgive one another and unconditionally love one another. In part 19 of The Gospel of John: Life in His Name, Pastor Dan Cox reads from John 13:1 – 14:31. Through His life, death and resurrection, Jesus is effectively drawing all kinds of people to Himself even as many people reject Him. In part 18 of The Gospel of John: Life in His Name, Pastor Dan Cox reads from John 12:1-50. Jesus has all authority over life and death, and whoever believes in Him will live even though he dies, and whoever lives and believes in Him will never die. In part 17 of The Gospel of John: Life in His Name, Pastor Dan Cox reads from John 11:1-57.